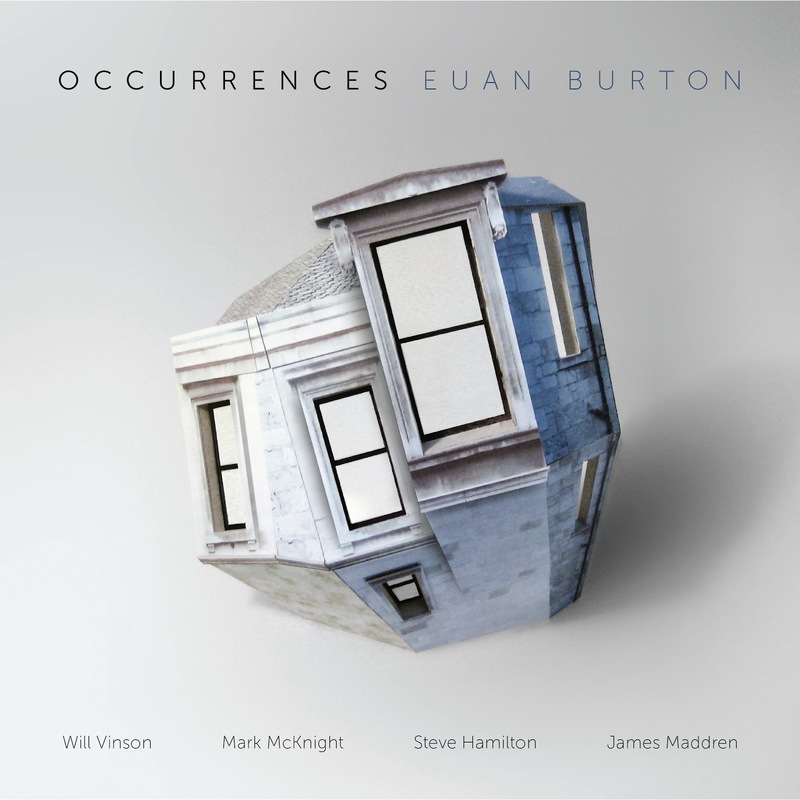 Scottish bassist/composer Euan Burton has been working on the compositions forming this seven-part suite for several years, and there is, consequently, a discernible refinement and polish to the finished article, on which he is joined by NY-based saxophonist Will Vinson, Irish guitarist Mark McKnight, a fellow Scot, pianist Steve Hamilton, and drummer James Maddren. Burton himself comments: ‘I was trying to think like a film director or screenwriter in some ways, developing a narrative, pacing it right for the audience and leaving space for the actors to make their roles their own’, and his ‘occurrences’ (somewhat unhelpfully titled simply ‘One’ to ‘Seven’) are indeed thoughtfully arranged, interspersing elegant restraint with vigorous bustle, the attractively soft-textured but lively Burton meshing with the ever resourceful Maddren to provide a platform for a series of absorbing solos from the front line. McKnight has been hailed as ‘the future of Irish jazz guitar’, and his clean, clearly articulated single-note solos are complemented by similarly accomplished Vinson statements, but overall this is very much a group endeavour, each player’s appreciation of Burton’s understated but insinuating compositions (often built from a deceptively simple repeated melodic phrase) palpable from their commitment to what is a classy, but commendably unshowy, piece of work.